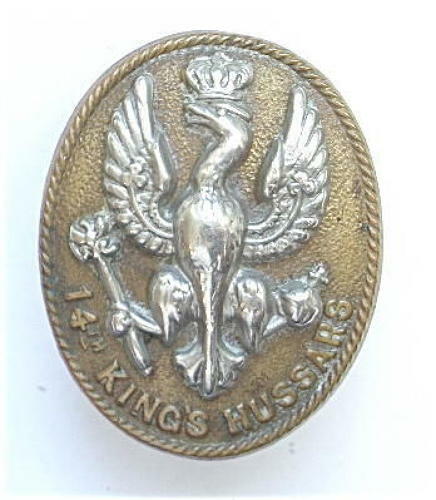 14th King's Hussars bi-metal oval cap badge circa 1896-1915. A good example on loops. Slight service wear.